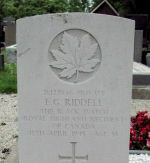 Son of William John and Eliza Campbell Riddell; husband of Neta Aileen Riddell, of Montreal, Province of Quebec. 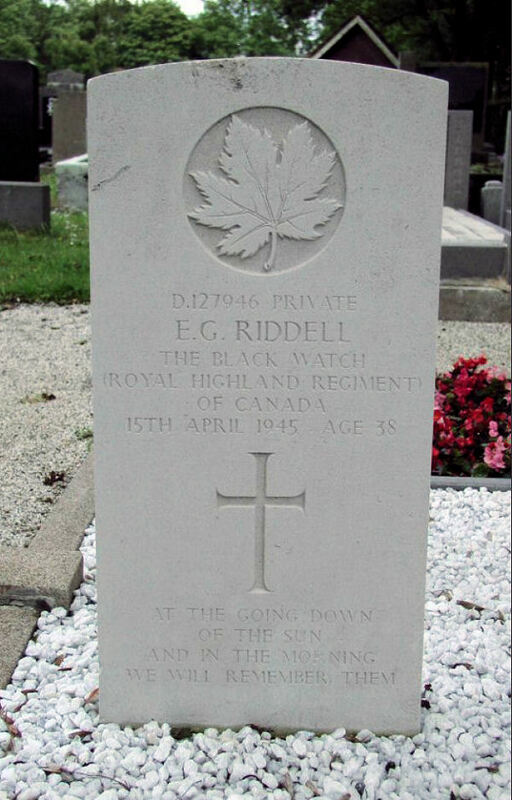 Commemorated on Page 558 of the Second World War Book of Remembrance. Request a copy of this page. Plot C. Row 8. Grave 21. Information courtesy of the Commonwealth War Graves Commission.